The Book Nook is the reincarnation of Ravenclaw's Book Club. The Nook opened in September 2008 in the Flocks sub-forum after the Club went dormant. As our dear Head of House, Professor Rhiannon Llewellyn, educated us, a “nook” is a “secluded or sheltered place” and “a small, often recessed section of a larger room.” That larger room is the Roost as a whole. 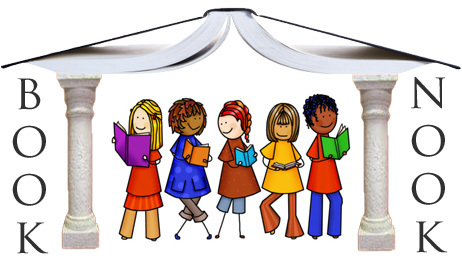 Unlike the restrictive-sounding name of the Book Club, the new name welcomes all eagles with an interest in reading. That's all of us isn't it? There is no need to be a member of the ‘club’ to participate in the discussions. The original goal of the old Book Club was to emulate real life book groups with monthly reading books and discussions. Sadly without formal organization, the Club never took flight. Discussions continued along quietly, but as a club the Book Club died. Like a phoenix, however, the Book Nook rose from its cherished ashes. The Nook now acts as a repository for eagles' recommendations of reading material and is a treasure trove of book reviews and personal opinions. Our Book Nook is a dedicated place of the Roost to discuss books and writing of all types, similar to the HOL forum's Book Talk in the Student Lounge. The indelible Maya Winters runs the Nook with a somewhat less than iron talon, appreciated all the more for it. The popularity of this sub forum, the only one in the Flocks area, has been sporadic. In 2008, Maya overhauled the forum, creating the Book Nook, tidying up and deleting posts from prior to 2006 and inactive threads. Just before reorganization, 2007 was a dead year for the Book Club, but the Nook has enjoyed an increase in activity since 2010 brought a wave of new and excited first years. Activity has picked up slowly, but the current school year (August 2010- present) has shown to be one of the Nook’s most active periods. Thread topics in the Nook range from the general, like “What’s your favourite genre of book?”, “What makes a good book?”, and “Poetry,” to book and author specific discussions such as “Philippa Gregory,” “The Alchemist,” and “Harry Potter vs. Twilight.” The most popular topics in the forum have greater than 50 posts in them, rivaling some activity posts in other sub forums. Top scorers in this category are the book specific threads of “Mockingjay (The Hunger Games Trilogy)” (66), “The Da Vinci Code (including poll)” (65), and “The Chronicles of Narnia” (64). If you are looking for a “Recommended Read” without scrounging through hundreds of books at your local library the Nook is the place to come. Share your reading experiences with others, what’s on your nightstand, what you think is or is not “Ravenclaw-esque”, recommend books to others or find your next good read. Whether you are an avid, book club going reader or just a nonchalant, “I liked the Harry Potter movies” socialite, stop by the Book Nook for good fun, good conversation, and good people!